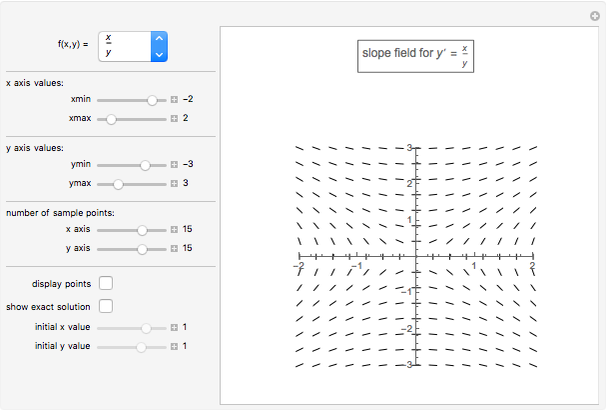 This Demonstration generates a slope field for a number of differential equations. 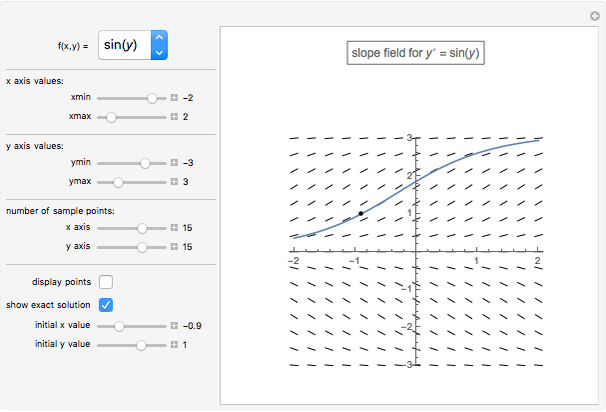 You have the option to plot a particular solution passing through one point. 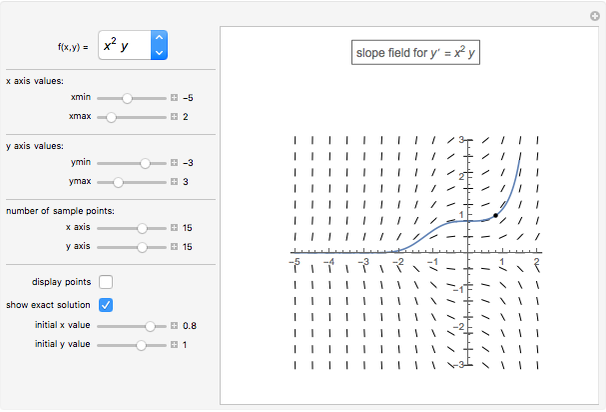 You can control the and axes as well as the number of segments plotted. You can display the midpoints of the segments. Charles E. Oelsner "Slope Fields"